ZIMBABWE Anti-Corruption Commission (Zacc) deputy chairperson Nannette Silukhuni was on Wednesday grilled at a corruption debate over the anti-graft body's perceived selective arrests and wasting taxpayers' money pursuing frivolous cases. Speaking at a debate organised by Crisis in Zimbabwe Coalition (CiZC), Zimbabwe Congress of Trade Unions (ZCTU) president Peter Mutasa said the people who cheered when former President Robert Mugabe was ousted were now losing hope in the new government's corruption fight. "The hope that was built on November 18 by people has been dashed by the appointment of deadwood in the Cabinet. You cannot expect that Cabinet to fight corruption, but during this short period before elections they will try to cover their corrupt tracks hoping it will befall on them soon," Mutasa said. Mutasa said he did not believe Zacc would do its work without interference as some of the corrupt people were now allegedly surrounding President Emmerson Mnangagwa. The discussion was titled: "60 days post Robert Mugabe - corruption in Zimbabwe: are there sacred cows?" CiZC chairperson Rashid Mahiya said Zacc was wasting taxpayers' money by arresting former ministers loyal to Mugabe for possession of beans and donating televisions while there were serious cases which needed to be investigated like the disappearance of $15 billion diamond revenue. "You (Zacc) cannot expect people to say you are achieving your goal of fighting corruption when you arrest someone for possessing beans and donating televisions. "You are now an instrument of fighting a faction of Zanu-PF at the expense of taxpayers' money and the people are not happy about that," Mahiya said. 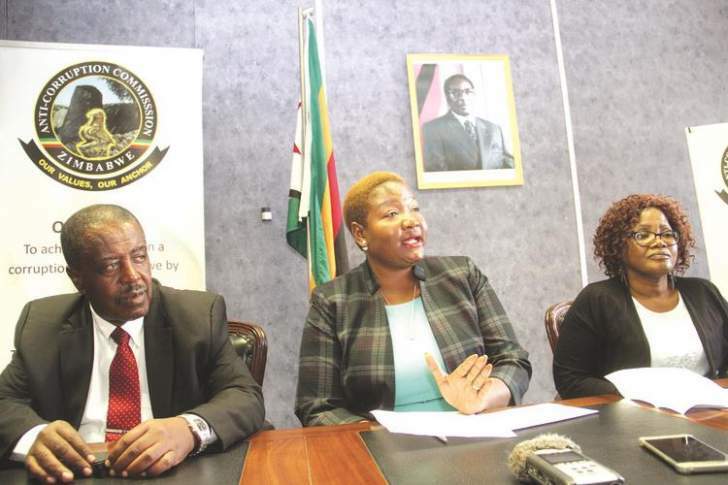 Delegates also confronted Zacc commissioner Silukhuni over Zacc's decision not to charge former First Lady Grace Mugabe, Home Affairs minister Obert Mpofu and ICT minister Supa Mandiwanzira, among others. However, Silukhuni refuted the allegations that Zacc was targeting G40 faction members insisting the anti-graft body was investigation officials in Mnangagwa's administration.